You have probably noticed that many of the recipes that pop up in real food blogs contain eggs…and lots of them. Not only are sunny, pastured eggs incredibly nutrient-dense, but they also happen to serve as highly effective binding agents for baking– especially when creating crumble-prone gluten and grain free goodies. Yet while I happen to enjoy eggs by the carton-full, I do realize that many people require replacements. Whether it’s due to health reasons, personal preference or availability issues (like all those tragic times when mid-way through cooking you open the fridge to realize there are none left), there are many situations where eggs just don’t work. As such, I don’t see the need to miss out on tasty real food recipes, simply because of confusion over eggs. Below find a list of other foods that can be blended up to make ooey-gooey substances that serve as egg substitutes, as well as some important tips for making exchanges. 1. Find the right type. Eggs are generally used in baking for two reasons: 1) as a binder to keep ingredients sticking together and 2) as a leavening agent to help the product rise. 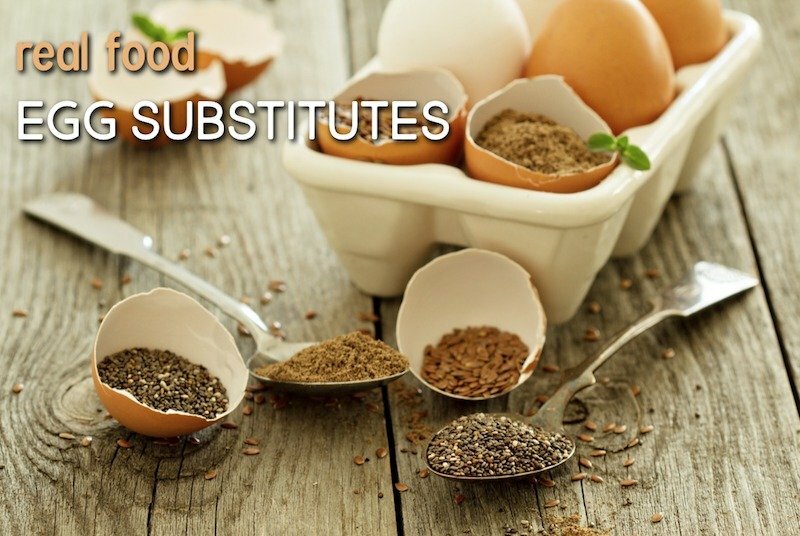 Egg substitutes must therefore be selected based on the function they are meant to perform in a given recipe. Things can get a bit tricky however when the eggs are meant to carry out both roles. 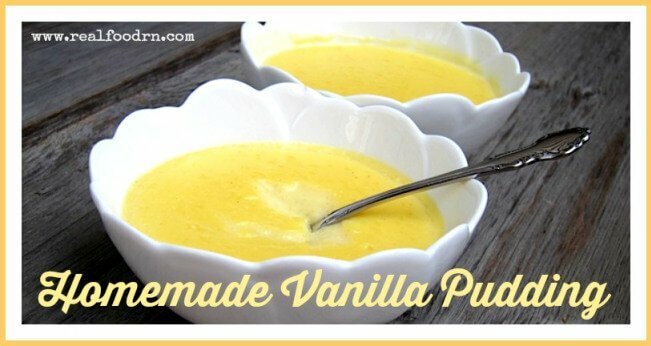 In such circumstances a blend of egg substitutes can be used. 2. Don’t use too many. If the recipe calls for 3 or more eggs, substitutes just might not work. At this point the resulting texture and taste of the product can be so dramatically different from the original, it’s simply not even worth the experiment (ingredients are expensive after all!). This is why making coconut flour recipes that require 6 eggs per 1/2 cup flour can be very challenging for those who don’t tolerate eggs. Coconut flour-almond flour blends may present a better option in this case. 3. Be aware of flavor. Keep in mind that using certain egg substitutes (such as fruit or veggie purees) will affect the final flavor of your dish. For example, steer clear of mashed bananas if you aren’t going for something sweet. While baking can minimize ingredient tastes, it certainly doesn’t make them go away completely. If using eggs replacements for binding purposes, it may be helpful to add 2-3 teaspoons of arrowroot powder to the recipe to help out. Use this trick only when you have a basic idea of what the final batter texture or consistency should look like. 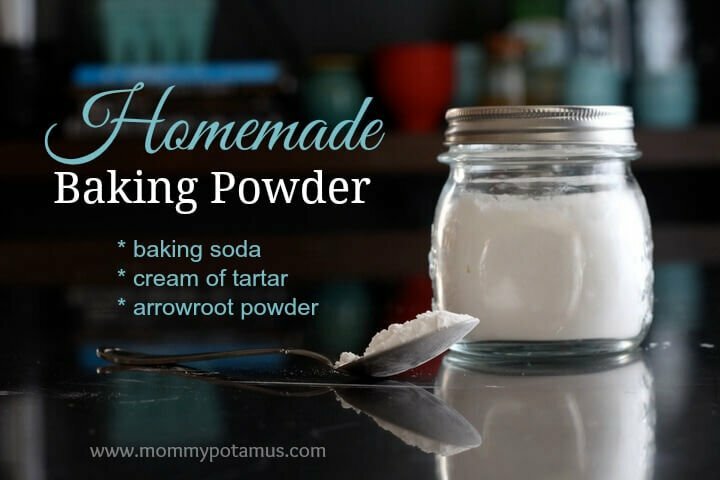 Keep in mind that a little goes a long way with arrowroot, so use sparingly and add slowly. All of the selections below are equal to 1 egg. Simply multiply as needed to satisfy your recipe requirements. When to use: Use in recipes that require binding. 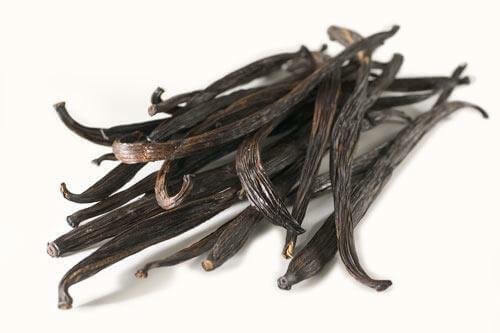 Best for sweet tasting items such as cakes, quick breads, drop cookies or brownies. 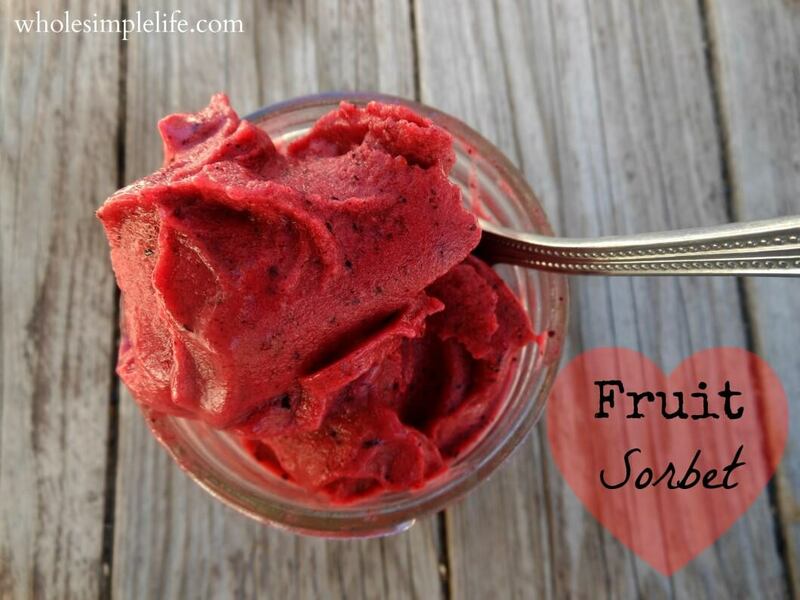 How to use: Puree or mash until smooth and no lumps remain. Once incorporated into the recipe, consider increasing leavening agent by about 25% or adding 1/2 tsp baking powder as fruit tends to make recipes denser than originals. Cooking times may also need to be increased slightly. When to use: For adding moisture into baked goods, when rising is not required. Adds a delicious richness to certain muffins, quick breads and bars. It can be helpful to thin yogurt with a bit of water if extra thick, and also add 1/2 tsp baking powder to lighten in some situations. How to use: Simply measure out and combine with recipe. Based on batter consistency and instructions, add extra baking powder as advised above. When to use: Use for binding. Both options yield a slightly nutty flavor, so they are best for grainier products like waffles, pancakes, muffins and breads. How to use: Use a food processor, blender or mortar & pestle to grind seeds to meal-like texture (sometimes it is easier to do multiple batches at once as seeds are so small). Add to 3 tablespoons of warm water, stir and let stand for several minutes until gel-like texture develops. This post by our friend Kristen at Food Renegade, describes the process of making chia seed eggs in more detail if you are curious. When to use: Use for binding and leavening. Great for cakes, cookies, crusts and quick breads. The lack of flavor makes this one especially versatile, plus it adds all of the gut-healing nutritional benefits that come with gelatin! Simply multiply the above to use for more than one egg. When to use: Use as a leavening agent for things that should be light and fluffy. Think cakes and cupcakes. It’s not recommended to multiply this one, so it is best for replacing just one egg. How to use: Combine ingredients in a bowl at room temperature (make sure it is big enough to allow the ingredients to react and foam). Whisk together and add to other ingredients as recipe calls for. Looking for recipes without eggs instead? Check out this egg-free mayo, vanilla pudding with milk and butter, and tasty paleo banana bread macaroons. 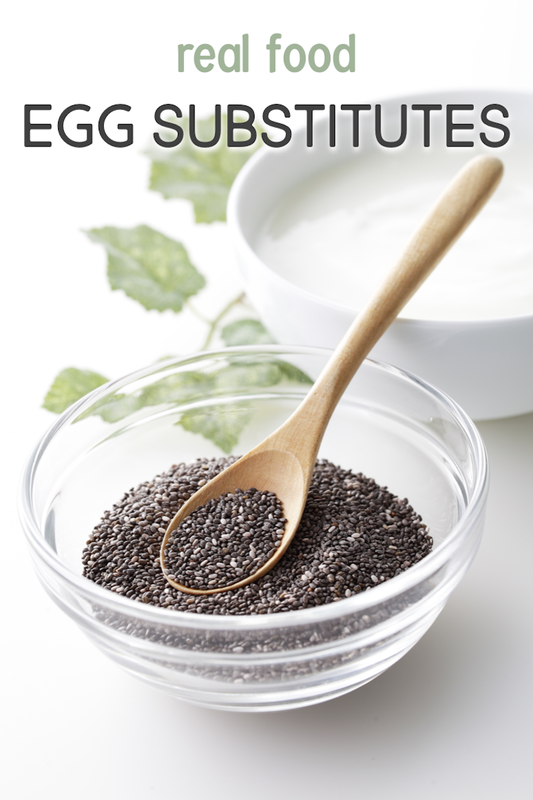 What’s your favorite egg substitute? Let us know if the comments below? This post was originally written by Kayla Grossman.